The Max saddle offers various riding positions across the seat as a result of the long relief channel. WIDEST RELIEF CHANNEL: Maximum cut out to release pressure in the perineum and soft tissue area for both men and women. 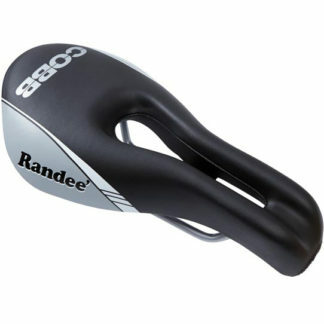 CONTOURED NOSE: Lowered nose offers amazing comfort while riding in a forward aggressive position. 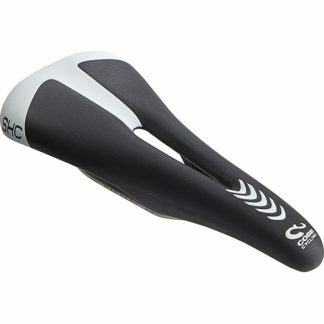 EXTENDED RELIEF CHANNEL: The Max saddle offers various riding positions across the seat as a result of the long relief channel. SUPERIOR AIRFLOW: Scooped down nose allows for maximum airflow to the crotch area for cooling effect. 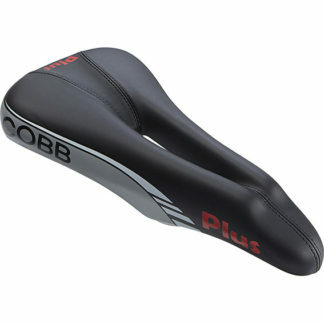 MEDIUM DENSITY FOAM: Formulated padding delivers comfort without the need for thick chamois or padded shorts. LONG SEAT RAIL: Long seat rails is designed for maximum forward and rear adjustability. NARROW REAR SECTION: While featuring a wide nose, the narrow rear section is designed for optimal hamstring clearance. 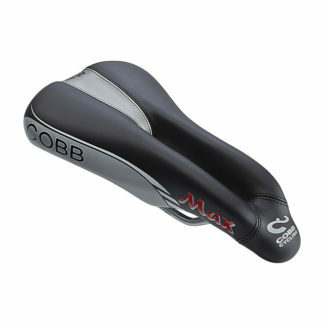 FROM BEGINNER TO ADVANCED: Saddle providing comfort for the the beginning cyclist all the way to the professional athlete.